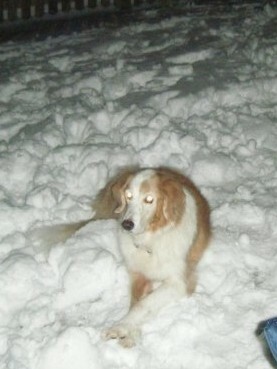 Chloe was my childhood dog, the one that first instilled in me a sense of compassion for animals. We rescued Chloe, a Golden Retriever / Collie mix from a bad situation, and explained that to the rest of the family by calling her my dad’s surprise birthday gift! I will never forget the look on his face as he heard his 75 pound, 1 year old ‘present’ come running down the stairs! She ended up being one of the best decisions we made, and was a perfect addition to our family. Chloe was the dog that sat through all of my favorite Animal Planet shows with me, and allowed me to experiment on her with the training tips. We tried everything from obedience to agility to dress up. (What? Did I just say that out loud in print?) She went on hikes and runs, always helped pick out our Christmas tree, pulled our sleds in the snow, and waited by the door at the same time every day, for the kids to get off the bus and for my dad to come in from work. Chloe had epilepsy, which meant she had to take an oral medication twice a day for almost the whole of her life, but she still lived to the ripe old age of 17. 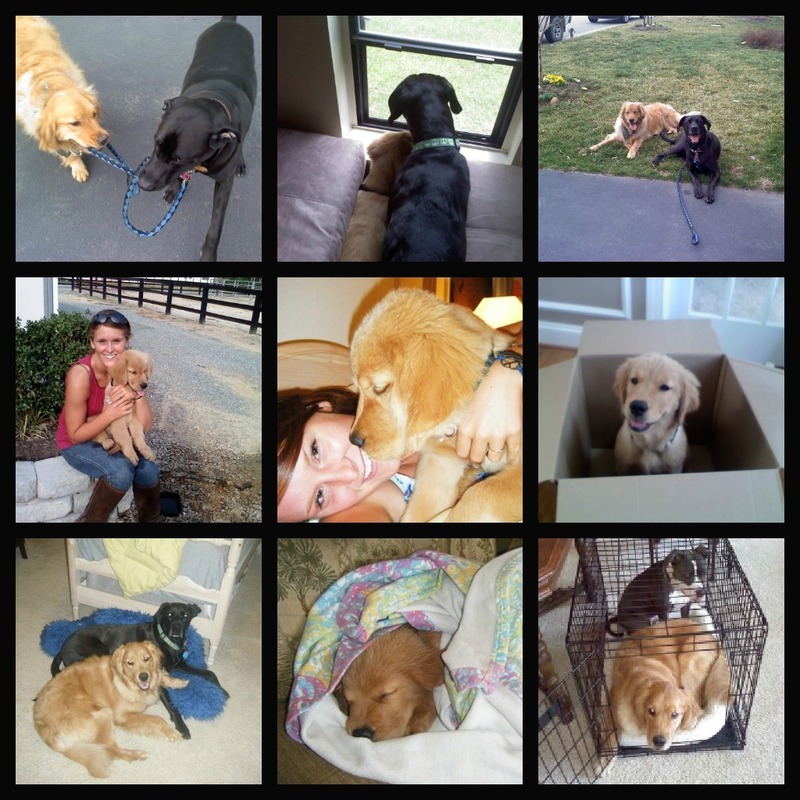 Saying goodbye to her was very difficult for all of us, but we know she had the best life a dog could ask for. I remember getting the phone call from my mom when she was in Florida visiting her parents. She met a woman who ran a facility that trained therapy dogs, and there was a litter of puppies ready to go. I didn’t need to hear any more, because I knew my mom was going to be bringing one on the flight home with her. (She did, and Carrie even got her own seat!) The process of training and raising Carrie was a challenging one, but we enjoyed every minute. Carrie was not a quick learner, but she loved people, and most especially, children. She was drawn to kids, and would stop and sit on the street any time one passed us, squiggling with anticipation of their hugs and pets. We completed a very structured training program with Carrie, and some of her talents at the end of her time with us included praying with the children at Sunday School and learning the names of the people that lived in our house, in order to bring them every-day objects like the phone, remote, or newspaper. She is a big sweetheart who now spends her days assisting those with physical disabilities, and we know that is what she was born to do. We are very grateful to have been a small part of her journey.